Eczema – a persistent skin condition which includes dryness, flaking, itching and blistering. Many people with eczema complained about the constant urge of itching. And that terrible itch feels like a never ending process and even interrupts sleep. But it is not recommended to itch as leads to the broken skin which become prone to infection and looks horrifying. And the worst part is you are often treated with harsh chemicals such as corticosteroids. That’s why we have come up with a smart and easy solution to help you treat eczema. 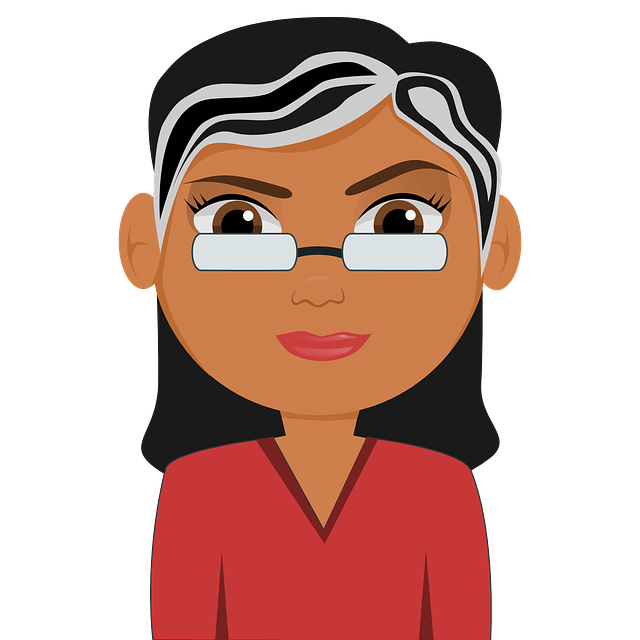 And it is – “tea tree Oil”. Tea tree oil has been used to treat many skin ailments including eczema. Is Tea Tree Oil Really Effective? Tea tree Oil has antiseptic properties which soothe the skin and prevent further damage. Its anti-inflammatory properties reduce inflammation. It helps to ease the itch to prevent further damage. Its anti-bacterial properties can reduce the infection and prevent spreading. 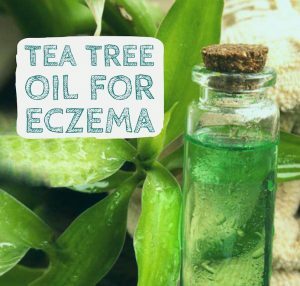 How to Use Tea Tree Oil for Eczema? Here we have listed methods using tea tree oil and other ingredients you can try to heal eczema. Mix 20 drops of tea tree oil and 1/2 cup of coconut oil. Apply the mixture on the areas 2 times a day. Store the leftover mixture in an airtight container for future use. This process is helpful for body eczema. Infuse bath water with 15 drops of tea tree oil and 2 tablespoons of extra virgin olive oil. Soak yourself in water for 20 minutes and bath normally. Repeat the process 2 times a day. Alternatively, you can use almond oil instead of extra virgin olive oil. For babies, use lavender essential oil instead of olive oil. It is best to repeat every night before going to bed to ensure a good sleep for them. Add few drops of tea tree oil to your moisturizer and mix well. Apply it on for 3 times daily. Mix 5 drops tea tree oil, 1 teaspoon coconut oil and 4 drops lavender oil thoroughly. Use this mixture as body lotion or body soap. Mix one part of tea tree oil with ten parts of avocado oil or jojoba oil. Gently massage the oil into the scalp and leave it for 15 minutes. Wash your hair with tea tree oil shampoo. Roses ease the discomfort caused by the itching and broken skin. Mix 3 drops each of rose essential oil in 15 drops of tea tree oil. Apply on eczema affected area. People suffering from eczema should maintain their skin’s pH to keep the skin moist and eczema causing bacteria at bay. This anti-eczema gel helps to achieve the same. Mix 4 drops tea tree oil, 1 tablespoon apple cider vinegar, 2 drops geranium oil, 4 drops carrot seed oil and 4 oz freshly extracted aloe vera gel. Mix well and store in an airtight container. Shake well before using and apply a small amount of it on eczema. Melt 2 tablespoons each of shea butter and coconut oil using a double boiler. Once they melt, remove from heat and bring the mixture to room temperature. Now add 2 drops geranium oil, 5 drops lavender oil and 2 drops tea tree oil. Apply this cream on affected areas 2 times a day. Alternatively, use 1 tablespoon honey instead of geranium oil. Mix 3 parts almond oil and 2 parts tea tree oil. Apply the mixture on around the eyes. Rest it for 15 – 20 minutes and rinse off with water. Repeat this process 3 days on and 2 days off. Finely grind 1/4 cup oats and set aside. Melt 3/4 coconut oil using a double boiler. Once melt, add 3 drops tea tree oil, 1 tablespoon olive oil and oats powder. Mix well and remove from the flame. Pour in an airtight container and set aside to cool down. Use this mixture as moisturizer daily. Mix 3 drops of tea tree oil in 1 teaspoon Vaseline. Apply the mixture on affected areas. Mix 10 drops of tea tree oil, 1 teaspoon jojoba oil and 2 tablespoons of olive oil. Apply the oil mix on the affected areas. Repeat the application whenever you wash the area. Never apply tea tree oil directly to the skin, as it causes irritation. Avoid consuming tea tree oil as it can cause vomiting, diarrhea and nausea. If you are pregnant or a nursing mother, consult doctor before using tea tree oil. If your symptoms of eczema worsen by using tea tree oil, consult doctor for immediate medical attention. Avoid tea tree oil if you are allergic to it. Avoid dishwashing, long showers, swimming and frequent hand washing. Avoid soaps and shampoos with harsh chemicals like parabens, Laureth sulfate, and phthalate. Always dry the affected area with a soft cloth after washing or bathing. Avoid scratching and constantly rubbing. Apply heavy duty cream instead of watery lotions. We hope this article was helpful to you. Have any queries and suggestions? Write to us in the comments section below. Hi, I read the remedies on this page as well as the ear infection page. I have eczema in my ears and they often become infected if I can’t avoid the scratching. I think they are infected again and so was trying the tea tree oil, apple cider vinegar and olive oil method from the ear infection page. Accept I used coconut oil instead of olive oil. I’m on my 2nd day of the treatment and I haven’t noticed much improvement yet. I’m hoping tomorrow to see some improvement. If after the 3 days recommended treatment it is still not cleared up should I continue the treatment 3 times a day until it’s cleared up? I’ve changed my diet to avoid dairy, gluten and sugar although it’s hard to cut out sugar completely. But if I do have any it is super minimal. I do my best to avoid it. I take vitamin D, a multivitamin with cod liver oil in it and turmeric supplements and am trying to drink lots of water daily. Yes, try the treatment 3 times in a day for at least few weeks to conclude whether it is working properly or not. If it is not working then probably consult a physician. 3 times a day and exfoliating my skin which keeps my skin rather smooth but the looks of it is different from what I had in visioned it although I’ve had eczema since I was 2. I have a patch of eczema on the inside of my foot and nothing that the doctors have given me have seemed to help. I used Vaseline with a few drops of tee tree oil and have gotten relief from the pain and itching. It also is starting to look better. I prefer natural remedies to medicine.